I am a big fan of using bright splashes of color in otherwise muted rooms. It can really add a sophisticated edge to a space, in my humble opinion. I am crazy about these MANGO(!!!) 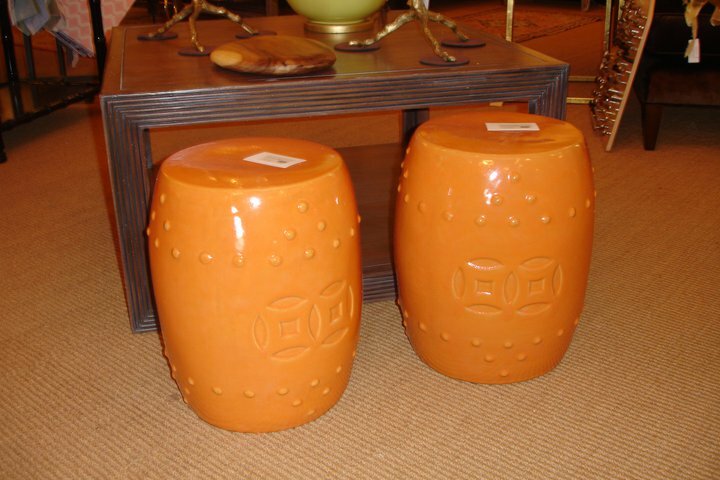 garden stools; they've got an Asian flair and the color is amazing, and is totally playing into my spring fever! And they're a great price, $175 a piece. These are from a fantastic interiors store, Verve, in Columbia. You can also check out some of their other fabulous pieces on their Facebook page and website, and also contact them about the owner's design services through Ford Boyd Interiors.